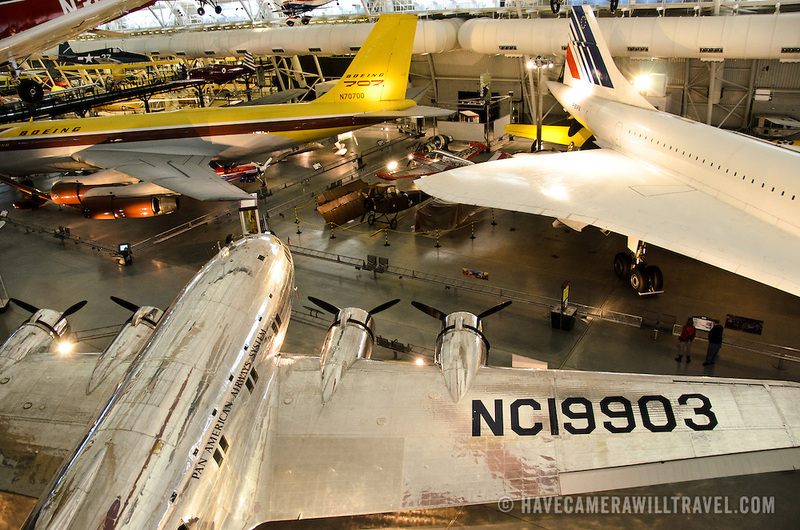 on display at the Smithsonian National Air and Space Museum's Udvar-Hazy Center, a large hangar facility at Chantilly, Virginia, next to Dulles Airport and just outside Washington DC. To the right of frame is part of an Air France Concord. To the left is a Boeing passenger jet.